The novel theoretical concept at the core of the Ovation technology is the biological phenomenon that ovarian cancer cells secrete a protein called Bcl-2. 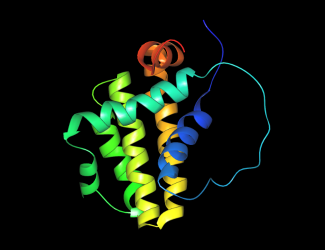 Bcl-2 is an anti-apoptotic protein, also called B-cell lymphoma -2. Since Bcl-2 is overexpressed in many tumor types, it contributes to chemoresistance by preventing cell death. Several reports indicate increased expression of Bcl-2 in ovarian cancer compared to normal tissue. Preliminary studies indicate that Bcl-2 secretion is unique to ovarian cancer, as other cancer cell types have solely intracellular Bcl-2. As Bcl-2 is secreted it collects in the urine, and can be detected by methods such as ELISA and lateral flow assays. Current clinical practice for biochemical detection of ovarian cancer status utilizes blood samples or tumor biopsies. Ovation’s assay is novel in that it uses urine, which can be easily collected and stored. BCL-2 has the promise of being a highly accurate, specific and sensitive marker. The urine based, point-of-care test provides a useful and practical format for monitoring of Ovarian Cancer occurrence in high risk populations. The Elisa test will provide the opportunity for quantification, making it very useful to monitor patients following surgery and chemotherapy for recurrence.